Streetrich is a movement, inspiring change and growth, through the culture of Hip Hop. We are committed to co-creating new possibilities for leadership and thriving through dance, music, and visual art. Streetrich connects individuals through the language of Hip Hop, giving marginalized youth a unique voice to share their stories, breaking stereotypes, and contributing to a global community of change. Streetrich offers a variety of free programs and events. In 2017 Streetrich will start operating weekly programs in a renovated building in Surrey. With the guidance of the City of Surrey and in collaboration with the Royal Canadian Theatre Company, Streetrich is developing a new dynamic hub mainly for at youth risk in an underprivileged neighbourhood. Streetrich will offer classes in dance, music and art. The address of this centre is 10660 Parkway, Surrey. 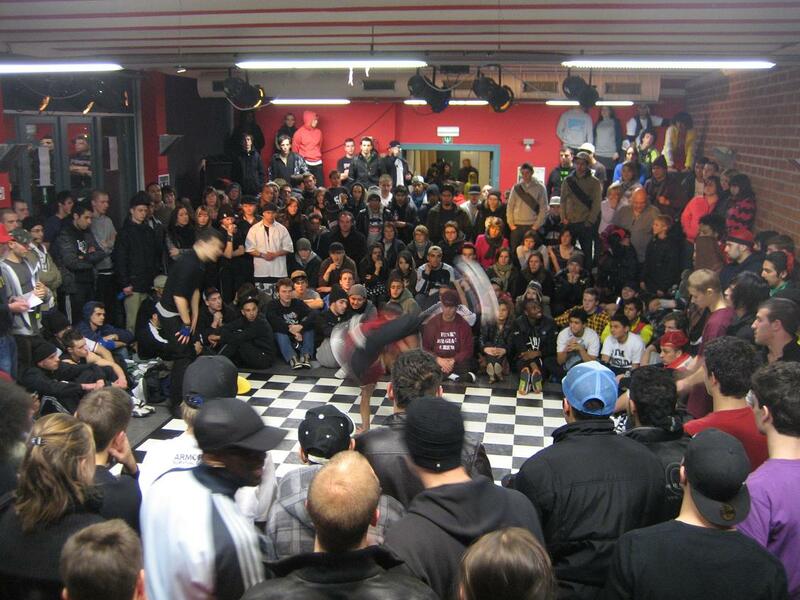 Beside this project Streetrich organizes free Hip Hop festivals and affordable dance competitions. We create possibilities for Hip Hop artists to travel to international events. During fall and winter we offer a free weekly Hip Hop Culture program at Roundhouse arts and recreation centre in downtown Vancouver. This is a space where Hip Hop artists can freely jam, network and build. potential and new possibilities to individuals and communities, reframing what Hip Hop Culture means. Streetrich values Relationships, building positive relationships through Hip Hop arts events,classes and workshops. Streetrich values Equality. Hip Hop transcends age, race, gender, and ethnicity. Streetrich values Accessibility. EveryBODY can grow and develop through the Hip Hop arts. Streetrich is always open to network and learn from other organizations and individuals. Streetrich is currently working on becoming more professional and broaden our network. Streetrich would like to hear your suggestions and advice on how to grow into a succesfull non-profit organization. Underneath you can find some information about our programs and workshops we can offer. Hip Hop Cypher Sessions – Our most popular program combines the elements of Rap, DJ’s, Breakdance & Street-Art, together for a 2-3 hour session. The format welcomes participants to explore the pillars of Hip Hop culture, in a safe, supportive environment. Spoken Word, Rap & Songwriting – This workshop is a high energy, interactive approach for exploring creative writing, poetry and the technical aspects of “how to rap”. Combining elements of basic music theory and rhyme, it is designed for people at any skill level, to have fun improvising with words. Breakdance, Locking & Popping – Learn the fundamentals and history of breakdancing. These workshops are designed to make people comfortable moving to music, and learning how to cypher. We can offer showcases and or workshops, in the different styles of funk dance, from beginners to the advanced. Street & Aerosol Art – Discover a fun and easy introduction to the culture of aerosol arts. This is a chance to develop technical hand styles, typography, and learn to create murals. Our workshops bring visual arts from the street to the classroom, engaging in discussions around traditional and modern art. Arts-Based Facilitation & Teaching Tools – We can provide techniques, designed to improve the teaching tools for instructors of different disciplines. Learn to apply an arts-based approach to creating safe spaces for people, while sharing your unique skillset. Hip Hop History & Culture – This workshop explores the origins and roots of Hip Hop culture, tracing back a variety of cultural influences and struggles, to it’s beginnings in the Bronx, New York City. We aim to share this knowledge, reclaiming the fundamental values of peace, love, unity, and having fun.